We don't usually make more than one loan per month, but sometimes there is a Kiva Alert that we can't pass up on. We love supporting other stationery businesses! Mambo (Greetings!) from Tanzania! 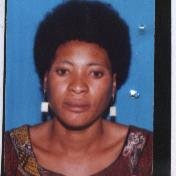 This is 30-year-old Lilian Chigome from Mbeya. She is married and has two children aged 5 and 11. Lilian has been running a stationery business since 2007. She buys stationery materials wholesale and sells them retail. Lilian works at her business for 9-12 hours per day, 6 days per week and is assisted by one employee. Lilian currently earns about $300 USD a month from her business. She is requesting a loan of $625 USD to purchase more stationary materials for her business. In the future, she plans to open the same business at a new location. Lilian thanks you for your support!